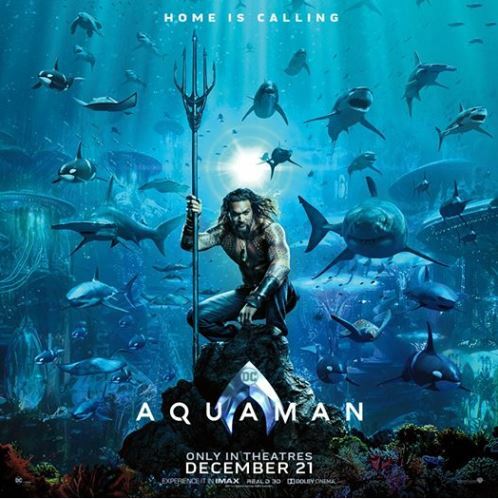 Enter now the Warner Bros and Ripley’s Aquarium of Canada Contest to get a chance to win a replica of Aquaman’s trident. To enter you must take a picture with the Aquaman or Mera statues located at the Ripley’s Aquarium in Toronto, ON, then upload it to your Twitter or Instagram account using the #AquamanSweepstakes hashtag to complete your entry. Contest closes at 11:00 pm ET on October 31, 2018. Winner will be selected by random draw from all eligible entries. There is one Lifesize Aquaman Trident Replica available to be won. The Warner Bros and Ripley's Aquarium of Canada Contest begins at 8:00 p.m. ET on October 26, 2018, and ends at 11:00 p.m. ET on October 31, 2018. The random draw will take place on November 7, 2018. Winner will be notified by DM on Twitter or Instagram.